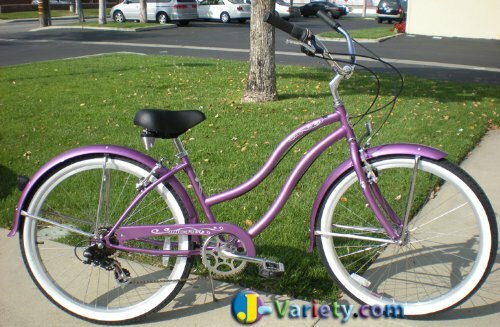 12 Girly Purple Bikes for Women and Girls! 12 Cute Purple Bikes for Girls and Women! Purple bikes are very girly and feminine and they are usually one of the first color choices for women. It is really pretty and very girly, just the way I like it! On this ‘purple’ page you will find a few of the most comfortable and fun to ride purple cruiser bikes for women and girly girls! *Did you know that riding a bicycle can also prevent back pain, protect your joints and improve your circulation and immune system while making your legs look even more gorgeous and firm? They are fun, girly and unique! I created this page dedicated exclusively to showing off the cutest girly purple bikes for women around! You will find only the most comfortable purple beach cruisers being sold. There is nothing better than riding your favorite beach cruiser bike around your neighborhood on a sunny day! 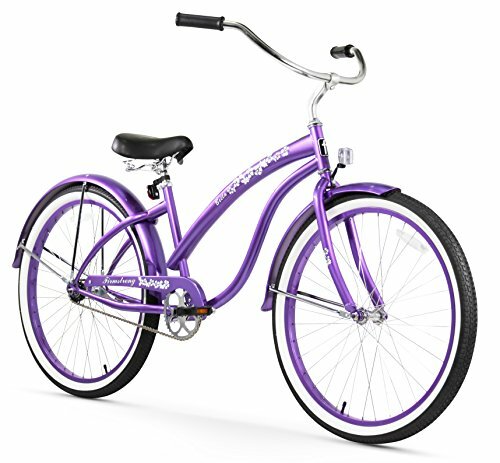 Purple bikes make fun gift ideas for girls and women of all ages who enjoy the outdoors! I also have a purple cruiser and I ride it everyday to my local grocery store! They are great for leisure rides! Enjoy my selections of cute purple bikes from here! 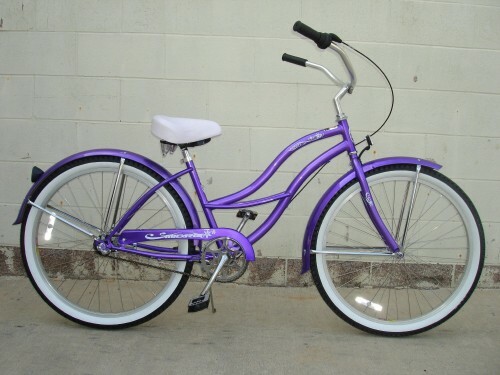 Another cute and very girly purple beach cruiser bike for women or girls! It has amazingly cute and fun designs on the the frame, 26 inch wheels, a gorgeous and comfy white seat and the high handlebars! 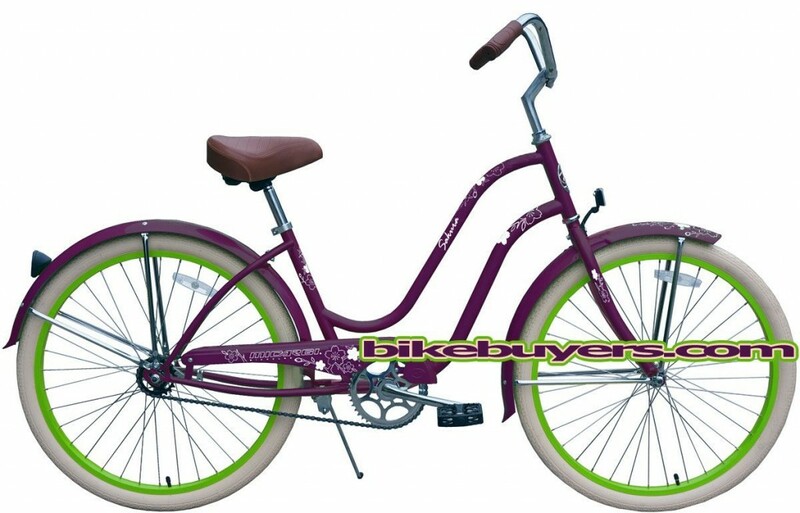 Gorgeous purple cruiser bicycle for women! It’s a beautiful and very simple single speed beach cruiser bike with a coaster brake, which riders pedal backwards to stop. It has 26 inch wheels which are perfect for women taller than 5′ 2″. Very smooth and fun to ride everywhere! Makes a great gift idea for wives and daughters who enjoy spending time outdoors! 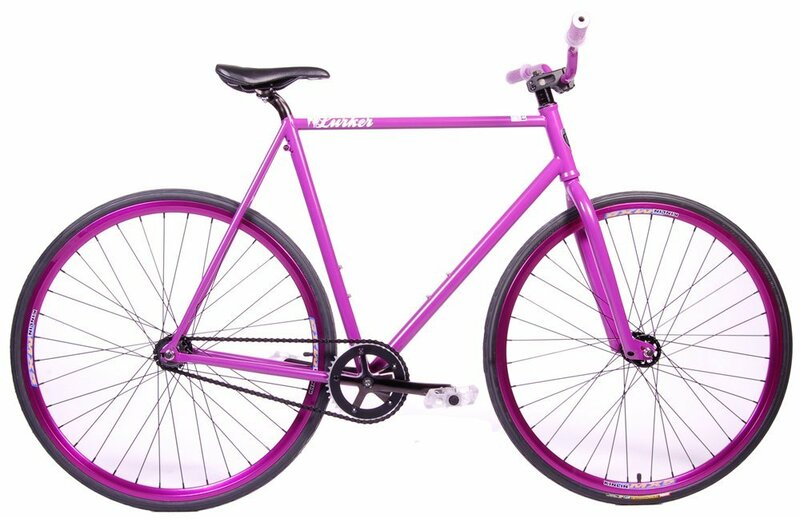 Cute Retro Purple Bicycle for Short Women! 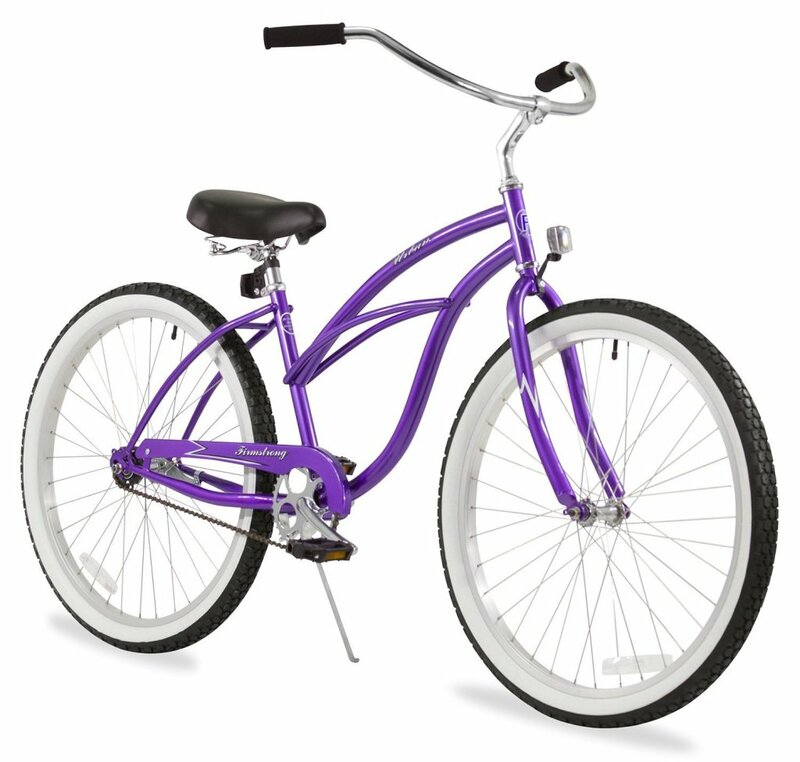 This purple beach cruiser is my favorite! I LOVE classic looking cruisers! Just by looking at this beauty makes you put on some shorts, sneakers, sunglasses and go for a ride! I love the strong purple color and the price! It also has a fun retro-style! Love riding bikes on the road? Feeling the wind and the sun on your body? High-quality speed purple bike with European bottom bracket! It can be used as a fixed gear or freewheel ride. This awesome speed bike is available in 52, 54, 56, 58, or 60 cm sizes. 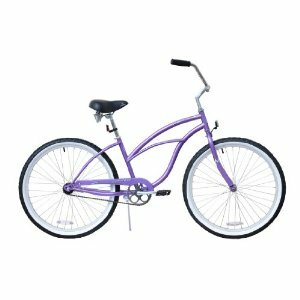 Another fun, affordable and unique purple beach cruiser for women! It has a classic and simple design, 24 inch wheels, and only one speed, for a fun and relaxed ride! Awesome outdoor gift idea for teenage girls or girly women who enjoy the color purple! 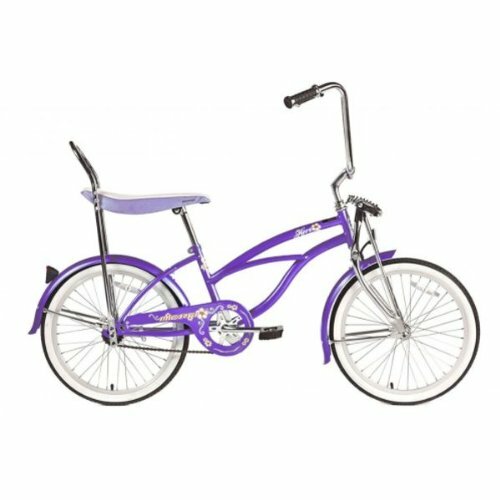 Retro Style Low Rider Purple Beach Cruiser Bicycle for Girls! Beautiful purple bicycle for kids or short women! It’s a retro beach cruiser bicycle with a purple banana seat, so it is very comfortable and pleasant to ride everywhere! Buyers said it’s perfect for girls ages 8 to 14 years old! It is heavy and the construction is great! (I LOVE the classic retro design with the banana seat and very high handlebars! It is a gorgeous and very unique purple retro beach cruiser! Look at that classic banana seat! 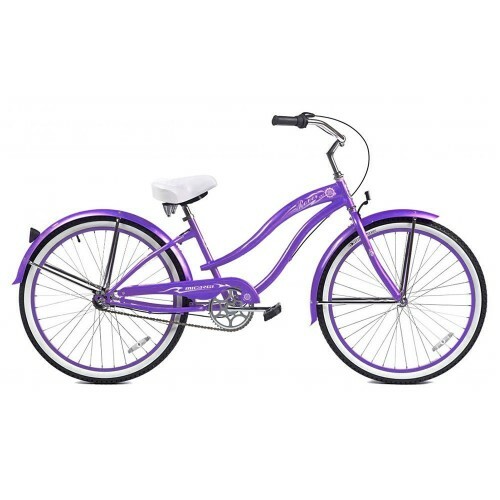 This amazing purple cruiser is perfect for girls and short women! Will give you compliments everywhere you ride it! Very cool Christmas gift idea! My two favorite colors mixed together in a gorgeous beach cruiser bike! It is a purple and green cruiser bicycle! I am in cute bikes heaven right now! I love the gorgeous brown seat and the comfortable handlebars! Fun Electric Purple Cruiser Bike! What a beautiful electric purple cruiser bicycle! 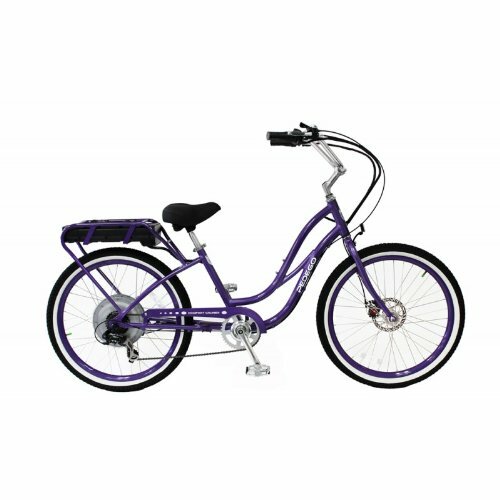 Beautiful electric purple bike for ladies who like a little speed…. It has 500 watt of power and it goes up to 20mph!! Adorable Purple Cruiser Bike for Little Girls Ages 3 and up! Will make such a fun Christmas gift idea for her! 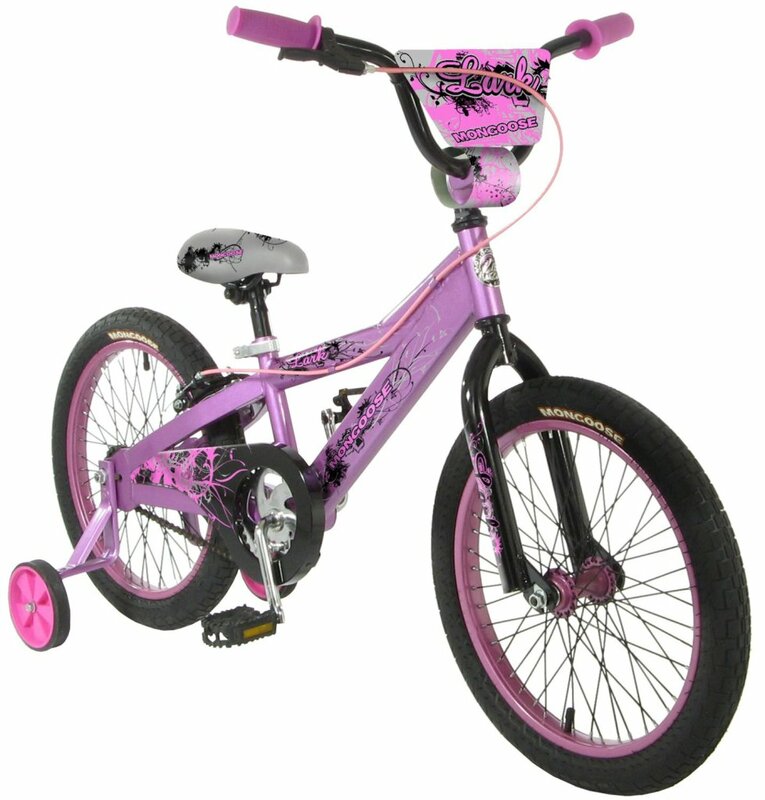 Very Affordable Popular Purple Bike for Girls Ages 6, 7 and up! 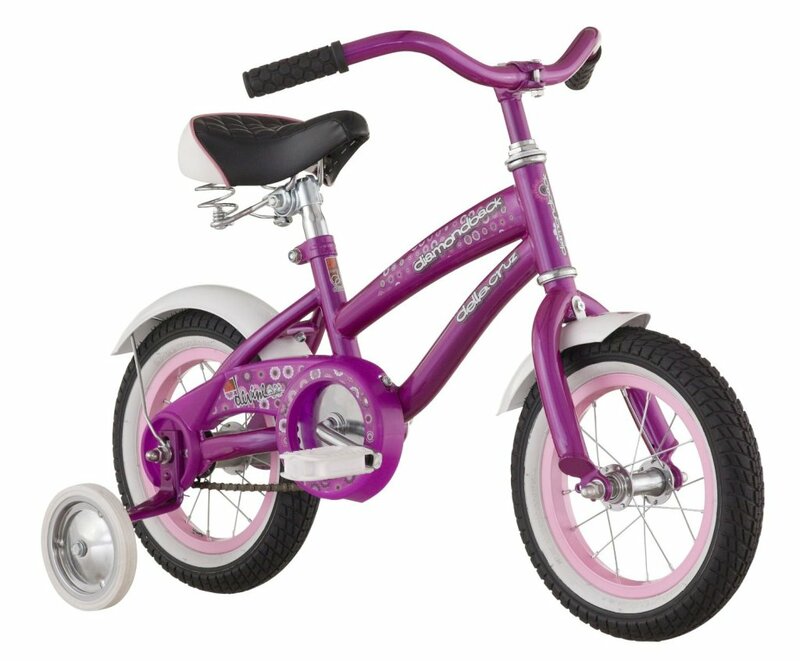 This is one of the most popular purple bicycles for children being sold! Parents love it because it is affordable, easy to assemble and very comfortable! My Top Favorite Cute Pink Bikes!